In an effort to find to bring a new angle to the routine nature of season previews, last year New English D ran a season preview series based on the team’s nine most pivotal players. We be called the series “2016 Bellwethers,” broke down the players whose 2016 direction would indicate where the Tigers were heading. Due to a solid response, the series is back for 2017. Keep in mind this is not a series about the most important Tigers, but rather the Tigers with the widest range of possible outcomes. You won’t see Miguel Cabrera featured, for example, because of his steady dominance of the league. Enjoy. I know this series is only seven words old, but I’m already breaking with the premise. The ninth spot on this year’s list belongs to James McCann and Alex Avila. The site has a math literate audience and I know including ten players on a nine player list is wrong, but I have a reasonable defense that will become clear as we proceed. In 2016, the Tigers had one of the worst catching units in baseball. That probably sounds a little extreme because McCann and Saltalamacchia combined for 20 HR from behind the plate, but the rest of their offensive output (and four PA from Bobby Wilson) was basically a disaster. Collectively, the group had a 66 wRC+, which was fourth worst in baseball last year. All catchers combined for a 97 wRC+. But it wasn’t just the offense that was a problem. Baseball Prospectus ranked Tigers catchers 10th worst in framing, and while they scored better in blocking and throwing, there just aren’t a ton of runs to be saved in those aspects of the game. Even the best blocking and throwing catcher in the league probably can’t add much more than a win or so to his team’s total. It should certainly be noted that James McCann took statistically and visually noticeable steps forward in terms of receiving. Saying the Tigers catchers were bad in 2016 isn’t an indictment on their overall potential, just simply that in order for the team to squeak out the necessary four or five additional wins they need to make the playoffs this year, they have to get better somewhere and catcher is the lowest hanging fruit. McCann and Avila are ranked jointly here because it doesn’t really matter which one steps up, just that one or both of them need to perform in order for the Tigers to be a competitive team in 2017. McCann is younger and has room to grow, while Avila has already had success in the majors that he could replicate. McCann obviously needs to replicate his framing progress. If he’s a competent framer and maintains his strong arm, the defense will work if he’s able to hit. Unfortunately, he’s a career .244/.284/.373 hitter (76 wRC+) hitter in 810 PA. I’m not burying a guy after less than two full seasons of reps, but a 5 BB%, 25 K%, and .130 ISO is not a promising start. He needs to hit for a lot more power or he has to make more contact. He’s entering his age 27 season, which is quite young developmentally for a catcher’s offensive profile, but this needs to be a point of focus in 2017. I was more than willing to give McCann a break over the last two plus seasons as he learned how to perform behind the plate in the majors and dealt with the grind of a full season of catching. Catchers develop late at the plate, but McCann needs to start showing that ability this year or the Tigers need to find another catcher of the future. On the other hand, Avila just turned 30 and has a long career already behind him. While Avila’s defensive skills have seemed less impressive over the last couple of years, his control of the game makes him at least a wash behind the plate if not still a positive contributor. The key will also be his bat. Avila continues to walk his way to a great OBP, but his strikeout rate up near 30% cuts down on some of his potential. Except for a dreadful 2015, Avila’s generally been able to hit for an average number of extra bases. You’re never going to see 2011 Avila again, but he’s been between 92 and 104 wRC+ in four of the last five seasons. If he runs a 95 wRC+ and performs ably behind the plate, that’s a huge improvement for the team. And only one of them needs to deliver. The Tigers don’t need to get Posey-level production from their catcher, they just can’t carry a black hole for another year. If one or both catchers hit, the team will be poised to keep the pressure on Cleveland into the final month. Mike Ilitch was an institution. That’s the highest praise I can possibly offer to a man I never met. I can’t tell you first hand if Mike Ilitch was a good person or a great boss. I can’t share an anecdote about some time he wandered into the press box or made Jim Leyland cry. I can’t offer any sort of eulogy for Mike Ilitch, the individual. I didn’t know him. As is the case when anyone famous passes, there is a distance between the grief felt by those he touched as regular person and those he touched as a public figure. I won’t venture to cover the breadth of Mr. I’s remarkable life. He was born in the months leading up to the Great Depression and grew up during a war that claimed the lives of 60 million. He served in the Marine Corps. He played minor league baseball. And that was just his first 27 years. It would be a story worth telling even if he hadn’t become a pizza mogul and the owner of two iconic franchises. Ilitch was beloved in Detroit and in Michigan. If you’re reading this from afar, it might be hard to grasp the idea that Tigers and Red Wings fans adored their owner. Owners are often the bad guys. The ones who put the bottom line ahead of winning and jack up ticket prices simply because they can. Make no mistake, Mike Ilitch was a businessman and a good one, but he stood outside the mold of the modern tycoon. What we loved about Ilitch was that he owned the Wings and Tigers the way we imagine we would own them if we had been in his shoes. Fans don’t see teams as investments. We wouldn’t pinch pennies and worry about making money. It wouldn’t matter if the club ended the year in the black or the red as long as there was a good product and a real chance to win. Ilitch ran the Tigers like a fan. He opened up his bank account when they needed a little extra and he took care of the team’s veterans. Over the last decade, Ilitch was thinking about the moment at the end of the season when the commissioner hands you the trophy. There was no owner who wanted to win for the sake of winning more than Mr. I. At times, Ilitch was almost too aggressive in his pursuit of glory. The Tigers became famous for mortgaging the future to prepare for the present because Ilitch wanted to win before he died. 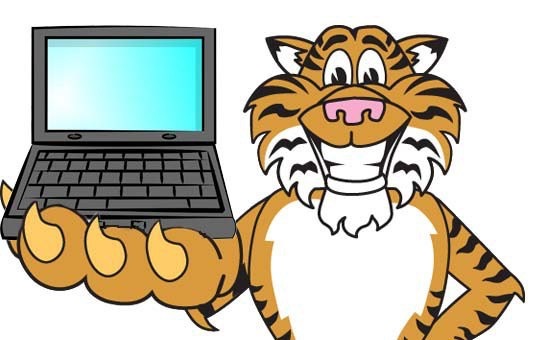 Every year we knew that the Tigers wouldn’t rebuild because the owner was old and determined. He was running out of chances and taking a year or two off to restock for some blurry future made little sense. Certainly that strategy had its downside but the mistakes he made were made for the right reasons. 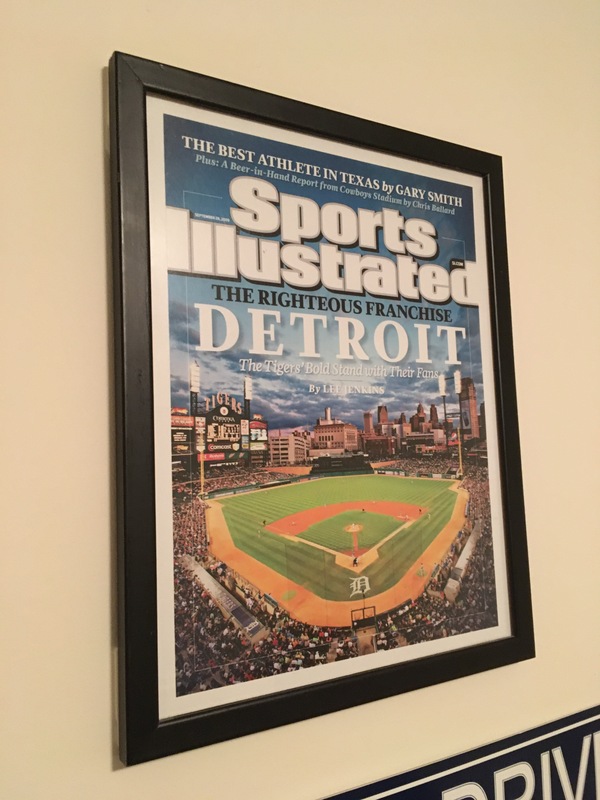 There are two stories that represent Ilitch’s legacy for me. After the Tigers clinched the division in 2014, Ilitch sat next to Victor Martinez in Brad Ausmus’ office. He put his arm around him and, as the story goes, said “I’m going to take care of you next year.” Martinez was a free agent to be coming off an incredible year at the plate. The basic math told you that Martinez was going to get a larger contract than he was worth that winter, but Ilitch wouldn’t hear of it. He paid the going rate – maybe even a little more – before Martinez even had a chance to test the market. Ilitch was known for having that kind of attitude toward his players. Justin Verlander and Miguel Cabrera got similar treatment. Ilitch cared about winning and wanted to win with the players who had worked so hard for him. A few million here or there didn’t matter. His approach made things feel less like a corporation and more like a family business. Things were dire around the country but especially in Detroit. The Tigers themselves were feeling squeezed due to decreased ticket sales and surely could have used the capital. In fact, that offseason they traded Curtis Granderson in part because they needed to trim payroll. A city that was once the engine of the American Century was teetering on the brink, but in that moment, Ilitch wasn’t thinking about the ad space. He was thinking about the organization’s role in the community. It’s responsibility to the community, even. That season ended painfully, after 12 innings in Minneapolis. It was unquestionably the most crushing moment I’ve had as a sports fan. Game 163 left scars on most of us. That season had been such a welcome distraction from the daily turmoil happening in the real world and a deep playoff run was exactly what everyone needed. In one final blow, the Twins took that away and the longest year in the longest decade of Detroit got a little longer. I have no idea if the free space actually helped the industry recover, but symbolism mattered. Mike Ilitch did right by his city not just when it was easy and when it made him wealthy, but also when things were tough. With the benefit of hindsight, we know the automakers survived and Detroit and Michigan are back on the rise. At the city’s lowest point, Mike Ilitch gave the Big Three free space on the fountain because Detroit wouldn’t have been Detroit without them. I don’t know what’s next for the Wings or the Tigers without Ilitch at the helm. He hasn’t been involved on a day-to-day basis for sometime but it was still his vision that led the way. Our teams and their city benefited greatly from his stewardship, not just because he was savvy, but because he cared about the right things and was willing to take risks. May his example light the way for those who follow.